ABEN Technical Services work closely with IMS (Independent Maintenance Services) to provide Industrial Rope Access to plants and structures where access is limited or the work is more feasible from ropes. ABEN Technical Services has a proven and safe method of achieving work positions at height or in areas where access is difficult. Our NDT Technicians are IRATA Certified Level 1, 2 & 3 and are required to undergo re-training every three years. The rope access equipment is regularly inspected to ensure safety and compliance. All ABEN rope access training and operational work is conducted in line with International Guidelines, ABEN Safe Working Procedures and Rescue Plans. 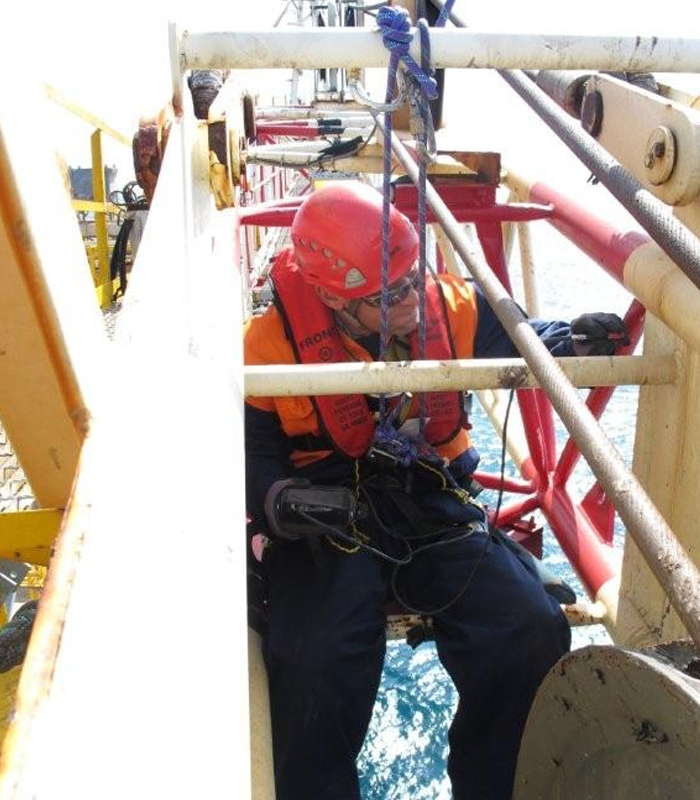 Our Rope Access department supports clients in the inspection and testing of structures, pressure equipment, piping, structural surveys and more, using conventional or advanced non-destructive testing.